Come to our amazing Winter Fair! Come to the Fair! 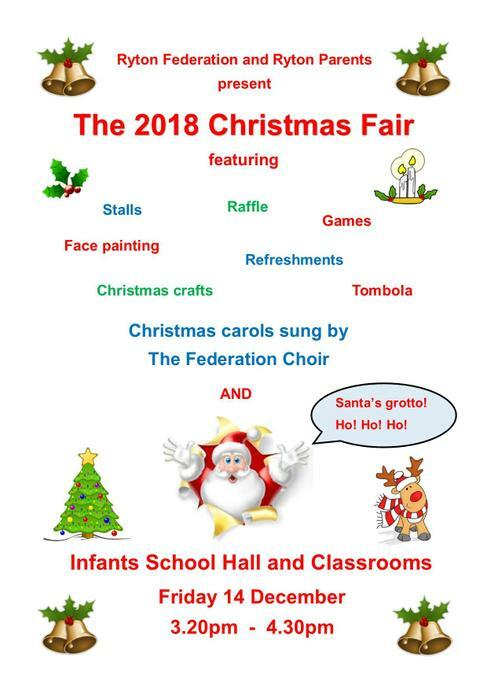 Meet Santa, enjoy Christmas crafts and stalls and be entertained by our fabulous Federation choir. Not to mention our cake decorating competition and raffle, which this year has AMAZING prizes. Raffle tickets coming home very soon.